The seat and fenders are rough out, they have been slicked to a beautiful shine. 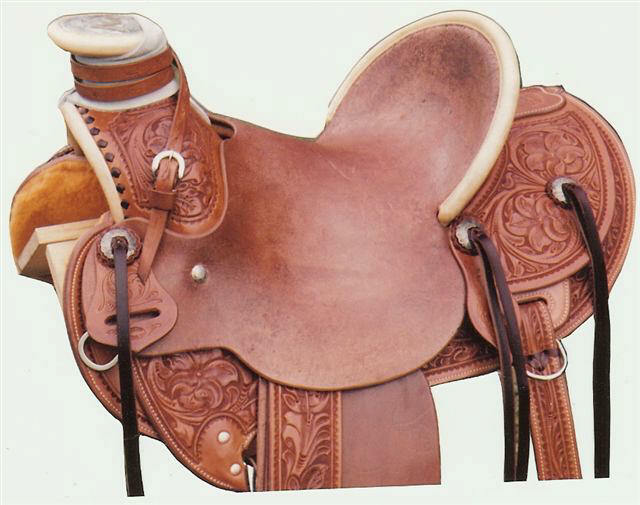 The remainder of the saddle is floral carved. The beautifully engraved silver is by Kevin Peebler. This saddle was not only made to use but to look mighty fine as well.